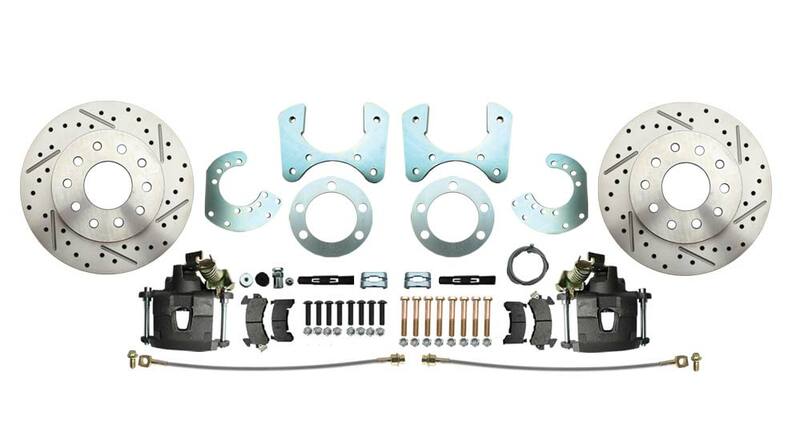 **Note** Due to the wide variety of vehicles that the 8 3/4" rear end is used in, there is no single length e-brake cable solution which will work universally with this kit. MBM overcomes this problem by offering a variety of emergency brake cable sizes for separate purchase, allowing you to taylor fit it to your application. Also available in a standard performance performance kit.